Aer Lingus is the flag carrier of Ireland and the country’s second-largest airline after Ryanair. It flies to 80 destinations in Europe, Asia, Africa and the United States, where it serves Boston, Chicago, New York and Washington, D.C.
Aer Lingus flights in Europe do not have business class, but some flights have premium economy seats available as an upgrade. 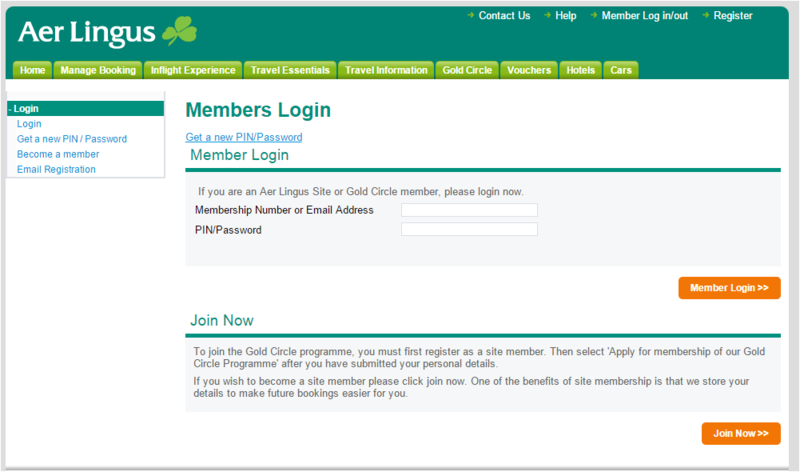 Since Aer Lingus left the oneworld alliance in 2007, earning options with the carrier have been rather limited. It has only two airline partners, no co-branded credit cards, and no hotel and car rental partners. You can’t even buy points from the program, so there are no ways to earn other than flying. Hopefully this will change if the carrier becomes a oneworld member again. That may happen if IAG, the company that also owns British Airways, follows through with its plan to take over ownership of airline from the Irish government. 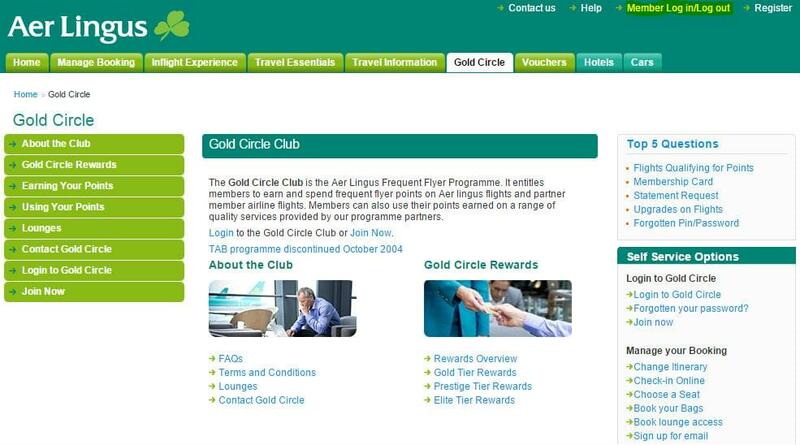 The terms for joining Gold Circle are different from those of most airlines. When you apply for membership, you only become an applicant. Your account is not fully functional until you earn 2,400 points in the first year. When Should You Use Gold Circle Awards? The simplicity of Gold Circle’s award chart means that it’s hard to find any redemption sweet spots. However, destinations as far away as the Spanish island of Tenerife, off the West African coast, are considered to be part of Europe. Flights within Europe cost only 4,500 points and flights between Ireland and North Africa are also only 4,500 points. See below for our phone booking tips. 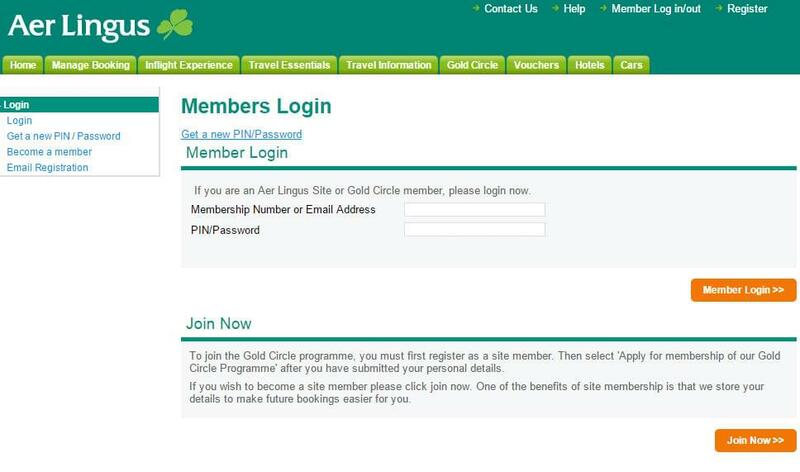 Go to the Gold Circle website and click “member log in/log out” on the top right. On the next page, fill in your destination and dates of travel and search for award seats. After you build and confirm your itinerary is available, you’ll be asked to provide your billing information to pay for the taxes and fees. Follow the prompts to complete your booking. You have to call to book either of the airline’s partners, United or British Airways. The process is a bit complicated. 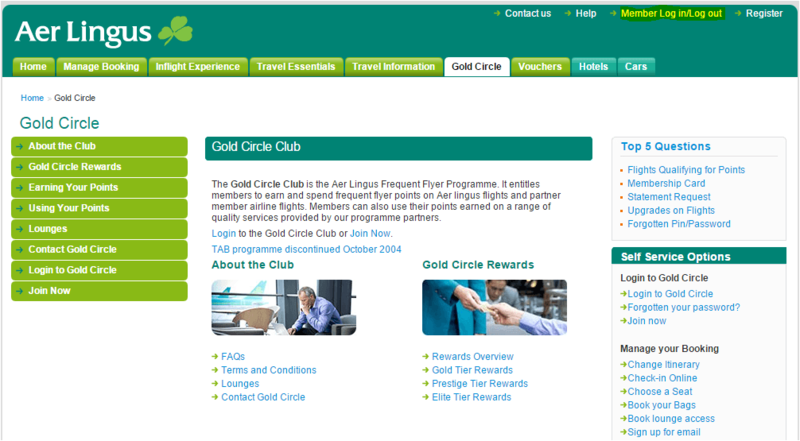 First you have to contact the partner airline directly, advising them that you’re making a Gold Circle reward booking. After confirming availability, they will give you a booking reference number. You must call and give that number to a Gold Circle agent at least 14 days before the flight. That person will then issue you a voucher.